Uses: As a hindered amine light stabilizer. Mainly used in polyolefins, unsaturated polyester, poly methyl acrylate and so on. 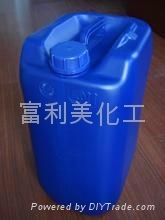 Especially suitable for polyurethane, as a good solubility in solvents. This article provides information and content, we believe that is accurate, but either understand or meaning, the use of our products, please address the individual needs of testing, we can not guarantee that this product is suitable for any particular purpose. Toxicity: low toxicity, rat oral LD 50> 2000mg/Kg weight.